I encounterd TextureBrush OutOfMemoryException with .NET Compact Framework 2.0. 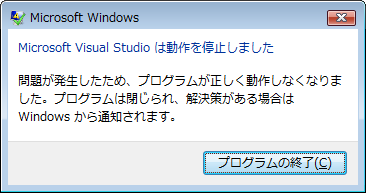 Visual Studio 2005 Team Suite / Japanese version. Sharp W-ZERO3 WS004SH for the target machine. By using TextureBrush with extensive FillPolygon results in OutOfMemoryException. Forcing GC does not help. I used the using pattern, and those instances should have no leak. Therefore, it could be a potential bug of .NET Compact Framework 2.0. I have checked out the same symptom by the Google and found a few people reported same issue. But, there seems to be no solution yet. // Run following code and wait for a few minutes, then results in the exception. // Please note that you have to add a timer with 100mSEC interval and enabled state. // Make a new back buffer if needed. // But, FillPolygon results in Out of Memory Exception. // Force GC by GC.Collect() or WaitForPendingFinalizers() is not effective. // This source code was auto-generated by xsd, Version=2.0.40607.42.